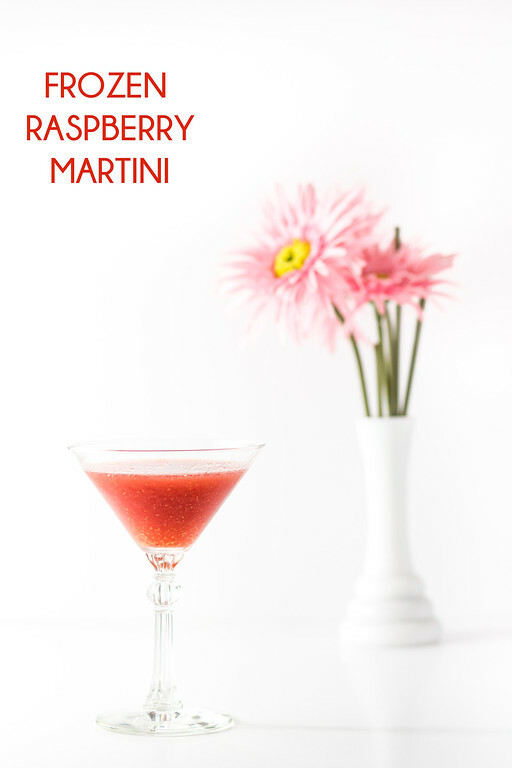 Turn a handful of raspberries into this delicious grown up treat with this Frozen Raspberry Martini! Last Saturday evening, my husband and stepson went out the Southern Brewers Festival. They left around 2 in the afternoon and wouldn’t be back until late. I didn’t go. Beer makes me sleepy. Beer on a sunny afternoon makes me beyond sleepy. If I started drinking beer at 2 pm, I would be ready for bed by 5 pm. So, I had the house to myself. Which meant I had popcorn for dinner and then made a jarful of the frozen raspberry martinis. Life is good. Seriously. These were so good. So good that when I saw on the weather app that it was raining in downtown Chattanooga, I thought to myself, “They better not come home early and expect to get any of these!” Apparently I am kind of selfish when it comes to Frozen Raspberry Martinis. These were so easy, a handful of raspberries, some gin, a little vermouth, some ice all tossed in my favorite Vitamix. Blend until smooth and pour into martini glasses. If you like pink frozen drinks: Strawberry Frosé and The Best Frozen Strawberry Daiquiri. 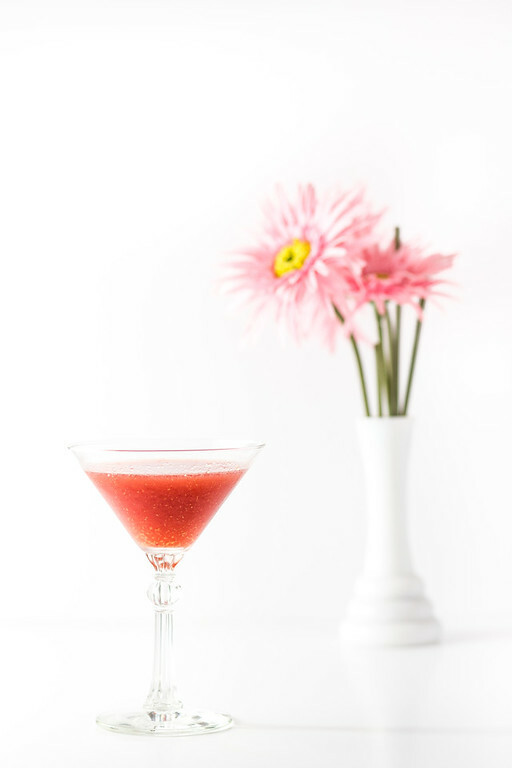 This Frozen Raspberry Martini is so easy and gorgeous! Place the ingredients in the order listed in your blender. Blend until smooth. Pour into a martini glass. I’m so sorry about the shingles, Pam! I’ve heard they’re painful. So far I haven’t had them, knock on wood. I’m thinking of you. And wishing I had one of those frozen raspberry martinis too! Delicious and perfect for date night, thanks for sharing with Hearth and soul blog hop, pinning and tweeting. I was so sorry to hear you had shingles, but I’m glad you still had a relaxing afternoon with this delicious cocktail. Your Frozen Raspberry Martini looks and sounds amazing! Hope you continue to heal quickly, Pam and that you are soon feeling much better. Thank you for being a part of the Hearth and Soul Hop.